Our Premium Oatmeal Melt and Pour Soap Base is an opaque, light tan color with real oatmeal flecks. Contains real oatmeal, which is thought to moisturize and relieve itching. The two-pound tray is the perfect size container for projects making (8) 4 oz. bars of soap. The lid allows for unused soap to easily be stored for future use. Sorbitol, Sodium Stearate, Propylene Glycol, Sodium Laureth Sulfate, Sodium Myristate, Avena Sativa (Oat) Kernel Meal, Titanium Dioxide. Sorbitol, Sodium Laureth Sulfate, Propylene Glycol, Stearic Acid, Myristic Acid, Water, Sodium Hydroxide, Oatmeal. COMMENTS: I’ve been thinking for weeks of a great formula to help me with my soap and this oatmeal base is the best !!!! COMMENTS: This was my first purchase from WSP. This was easy to use. Held my scent very well. It leaves your skin feeling moisturized and has a good lather. Will be a keep on hand product for my household. Thank you!!! COMMENTS: Perfect compliment to my product line! "Smells great. Very moisturizing. " COMMENTS: Great scent. Very easy to use. Melts easy. Holds scents well. COMMENTS: This is it. The best detergent free oatmeal soap base I've found and the only one I will use. Super creamy with great lather it also melts, sets, colors and holds fragrance like a dream. "premium oatmeal melt and pour"
COMMENTS: Nice creamy base great for people with sensitive skin. "like the real oatmeal in this soap"
COMMENTS: Nice soap. Like the CP look that the oatmeal adds. COMMENTS: I used this base to make party favors for a baby shower and everyone was gushing over them! All I added was some rolled oats and a little brown sugar FO. To die for! "BEST OATMEAL BASE OUT THERE"
COMMENTS: Melts very nicely, not at high temps. Used for the sand in fish soap along with clear MP. Worked great has just enough specks in it, to make it look like sand. Will purchase more for other uses. COMMENTS: I have super sensitive skin and typically will use only the detergent free base soaps. For customers that want that lather, I will purchase the premium soaps bases. I personally do not like them but customers do. Since they pay for it, I will buy again. COMMENTS: This was my first time making this soap, and while it came out well, it did make my skin feel a little dry as is. I did not add any oils or butters, so next time I will to see how they come out. Thanks! COMMENTS: This soap is so easy to work with. The bars are beautiful once made. So creamy. This is my favorite!!!! COMMENTS: ..I sooo love this soap !! I hope you will always carry this. This is the only soap bar I use on my face and body. Leaves my face looking and feeling just wonderful ! I have given bars to friends and family and always get asked for more. Simple to use ... can use with or without added scents. Very fresh and clean scent on its own, or add different FO to suit the Male or Female you're making gifts for. Just wonderful !! "Amazing! Loved the smell and the texture." COMMENTS: I loved how it just leaves the skin so smooth and you can feel the Oatmeal and natural smell. COMMENTS: Love this base. Excellent quality like all of the MP bases from WSP. So easy to work with and is not sweaty. COMMENTS: I like this base. I mix it with a couple others & my customers are happy with the end result. COMMENTS: Love this Melt and Pour soap. Works well everytime! COMMENTS: This was my first time using this base and I absolutely love it! I made 2 bars of unscented soap bars and 4 bars of soap scented with Oatmeal N' Honey FO. I gave them out as samples so I could get some good feedback on how well they would be received. Needless to say, they were a hit! I have already ordered more! COMMENTS: I made a recipe off the website using this soap base for my husband. It is his favorite soap yet and requested I make more. I added some oatmeal processed in the spice grinder for extra exfoliation and it was a hit. COMMENTS: This is a fantastic base for soaps. I made soap for my fur baby and she got a good nights sleep after bathing. It seemed to calm her itching from her grass allergies. My granddaughter said it made her skin feel better and didn't itch as much. It has a great lather and rinses well. Holds the fragrance well too. COMMENTS: This is lovely as is or with lavender EO - creamy lather + beautiful natural scent. COMMENTS: I love oatmeal soap but was disappointed with this one. I did not like the way it mixed or held fragrances. COMMENTS: Loved this base, i was asked to make oat meal with no fragrance and extra oat meal, the results are amazing!!! COMMENTS: melts wonderfully and sets up nicely. COMMENTS: I mix this with Jojoba grains and oil. Sells well with men and women. COMMENTS: Bought this base for the first time. Made oatmeal, honey, and sweet almond soap. Everyone loved the texture, smell, and lather of it. COMMENTS: Super easy to use and blends well with other bases. I especially like to blend it with goats milk base. COMMENTS: I absolutely loved this melt and pour, I used it for a sample size bar and it's amazing to use for a facial bar. COMMENTS: I bought this for making a melt and pour luffa. I used this for the bottom of the luffa in a circle mold. It looks nice and sleek with this added to the ordinary melt and pour luffas, and helps with soothing your skin with the added luffa for exfoliating. It stands out just alittle more than the basic luffa. COMMENTS: I look forward to washing my face and body with this soap at the end of the day. Added some Poppy Seeds and a I got a wonderful scrubbie Soap! COMMENTS: I love love love this base! It's a hit with me & I haven't even tested with customers yet. I love the look, feel, & how well it works. It took fragrance well, but I actually liked it without any fragrance as well. I'll def be using again! This is going to be a staple in my home! COMMENTS: Easy to work with and wonderful for the skin! Great stuff. COMMENTS: Great soap if you don't want to suspend your own oatmeal. Needs no fragrance, as it smells lovely alone. "This is a great base"
COMMENTS: I love this melt and pour base. I made honey almond soap and added extra ground oatmeal for exfoliation. I have very sensitive skin and react badly to most soaps, but I have had no problems with this one. It also is one of my bestselling melt and pour soaps. COMMENTS: This base is wholesome and soothing. I have it as part of my favorite soap. It's texture is divine and it molds beautifully. It is an earthy light brown that maintains its color and has a very long shelf life. COMMENTS: Love this oatmeal base! "Loved the exfoliation of the product"
COMMENTS: I am very happy with this soap base...easy to get out of my "doggie" molds and my customers are happy with the results of it. Will keep buying it for this purpose. COMMENTS: Depending on what you want to use this soap for, you're going to love it! It is a perfect color to use for "sand" in beach themed soaps, and I can't wait to try it out as a "crust" for pie soaps. The possibilities are endless! COMMENTS: Easy to work with! Looks and smells great! Will be adding this to my line!!! COMMENTS: Made some soap with this base for a few of my husbands co-workers, and they absolutely loved it. A few of them suffer from Eczema and stated the soap I made for them has been very beneficial in helping them. They are wanting more. So this base, and every other WSP base I have tried has been very well liked by everyone I've given them to! Also enjoy using them, and creating with them myself! COMMENTS: This base is just so creamy! I love it! COMMENTS: love this product for the wonderful bennifits in the winter months when dry skin just is going to happen here! living in a cold winter climet and running a woodstove really dries out the air in our house, this oatmeal soap has been very benificial to my skin. love it! COMMENTS: Perfect base, customers love it! COMMENTS: Love this oatmeal soap base which I use with the honey soap scented with, of course, Oatmeal & Honey FO. Makes a pleasing soap that everyone loves. COMMENTS: I love this MP soap base. It naturally smells yummy and it leaves my skin feeling luxurious! I make the scrubby bar all the time and my customers LOVE it! Thanks for providing such quality products! COMMENTS: My customers love it because it removes makeup!! Safe & gentle on skin. COMMENTS: I have sensitive skin and this is my new favorite soap! It lathers up nicely. COMMENTS: perfect for sensitive skin issues! Smells comforting and clean. COMMENTS: Sets up fast. Great colored as is. I tried some red mica and got ick. Goes well with Honey base! You can't beat the sale prices or free shipping. "Signature Oatmeal MP Soap Base"
COMMENTS: This soap base is great. The color is perfect -- not too dark. However, you have to be fast when pouring once it begins to cool because it sets up really quick and will thicken up on you. Luckily, you just have to place it in the microwave a few seconds to get it thinned out a bit. My customers love this product especially when I add some coarsely ground oats -- great exfoliation for the body (not the face)! It leaves the skin super soft! I also use it for Canine bathing products and the pet parents love it! I will certainly continue to buy this product. The 2 pound tray is very convenient. COMMENTS: I use the oatmeal soap base for fish soap "sand", and for making pet soaps. The oatmeal soap melts in the microwave very quickly compared to other MP soaps. Then you need to work fast before it sets. Seems like a nice soap though. COMMENTS: this base is the best option to combine with the honey MP. COMMENTS: This base is just the greatest as with all the soap bases I purchase from WSP. Great seller to my product lines. This looks great when poured into the plastic Oatmeal bar mold.People are into all natural and this one fits the bill. COMMENTS: This is such an awesome base! I use it for two different types of MP soap, and I have a hard time keeping them in stock! COMMENTS: Love this base for our soap. COMMENTS: This is my favorite base to use when making soaps. It's great for problem skin. COMMENTS: Wonderfully moisturizing and easy on the skin. Will buy again. My only complaint is that it was difficult to really get a nice color out of it as the soap is a light to medium tan when you buy it. Maybe I used the wrong type of color in it though (I used a matte color bar). My soap still turned out great. Holds scent REALLY well. COMMENTS: This has a nice creamy texture,accept fragrance and additives well. Used in Acne soaps. Will purchase again. COMMENTS: This is a really nice soap! I love the oatmeal color to it. Very natural looking! Has a pleasant smell, too. Works well with coloring and fragrance! COMMENTS: I mixed this with warm sugar vanilla fragrance and it was amazing!! COMMENTS: Love this base, it's not too harsh of an exfoliant. Not our best seller, but sells well enough that we have reordered several times. COMMENTS: Great oatmeal base, compliments Oatmeal Milk & Honey Scents. Nice oatmeal color and texture. "Really Enjoy my Oatmeal M&P"
COMMENTS: I love my oatmeal M&P soap, though I add some suds helpers and a little bit of honey or shea butter. But more importantly, customers love it. A customer tracked me down in this rural area of New Mexico with scanty information because she wanted loved it so much she wanted to sell it. I am still learning to get this formula right as the oatmeal has oaty particles in it. It's so good! It's creamy, lends well to different scents, cause no harm to animals and people already know about oatmeal soapy goodness. COMMENTS: I use this the first time I ever made soap. It was very easy to work with. I used oatmeal, milk and honey fragrance and it came out perfect. COMMENTS: I love this base. It lathers very well, easy to work with, and holds all my fragrances very well. I have purchased a similar base from another company and no matter what I did the soap had this odd "hotel" soap smell to it. I was pleased with this base, it worked wonderful and melted pretty fast. COMMENTS: I made a chamomille and lavender soap with this and it came out great. It had a very nice exfoliating feel to it and was not drying. It had low sweat too. COMMENTS: I used this MP with Detergent free honey mp to make layered Oatmeal and honey soap and it came out wonderful. It lathers great, Keeps skin soft and doesn't leave a dry feeling. COMMENTS: Creamy and smooth... this is one of my favorites. COMMENTS: Great base for the kids. "Perfect amount of natural exfoliate"
COMMENTS: This soap is very versatile and takes essential oils easily. It is a wonderful natural tan color and the oatmeal is wonderful for people with sensitive skin. This soap is a staple in our business. COMMENTS: I use this base AS IS! No fragrance at all and customers love the natural smell it has. A staple in my soap line! COMMENTS: I used this with in my honey oatmeal soap with the Honey, Milk, Oatmeal fragrance and ground up extra oatmeal for added exfoliation. Pretty good lather and lots of good feedback. I am back to buy more. You have to keep stirring, it forms a skin quickly. This one also sets fast. COMMENTS: I like this MP soap with one exception, I had the hardest time with the soap having "scum" on top no matter what. I've never had that experience with any other base. No matter what how hot the soap was or at what point during the soaping process, I could never get it completely smooth. It could be my fault, I may have had too much in my container. 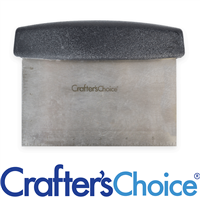 WSP Response: I have found that if you slightly over-fill your mold cavities this will provide an excess edge that can easily be trimmed before unmolding using our straight soap cutter (http://www.wholesalesuppliesplus.com/products/straight-soap-cutter.aspx) or a vegetable peeler. Also, spritzing with alcohol has reduced the amount of froth or scum. COMMENTS: Love this base! Smells SO good. Have to watch soap bars as they appear "holey" when cooled. I solved that by sprinkling a small amount of oats on the bottom of the mold before pouring, couldn't tell after that! Made an oatmeal honey layered soap & used the oatmeal honey FO. Very pretty colors & great smell-good enough to eat! WSP Response: We recommend spritzing the top of freshly poured soap with alcohol to help pop surface bubbles. COMMENTS: Very nice exfoliating soap base. A winner when paired with the Oatmeal, Milk & Honey Fragrance Oil 105. COMMENTS: This base is easy to work with and leaves your skin feeling very smooth. Only complaint is it's not as easy to work with in regards to designs or coloring, but that may be just me being a newbie! COMMENTS: I've tried other companies and this one is the best hands down. Takes fragrance well, melts evenly and is like a "cold press" bar, goes well with the milk and honey FO. COMMENTS: The oatmeal soap base has been a staple in my business for many years. My oatmeal soap has always been a best seller and my customers come back for them by the hands full. I love this soap (I throw a little shea butter and emu oil in with it before I pour) and there is nothing else we use in my own home. LOVE IT! 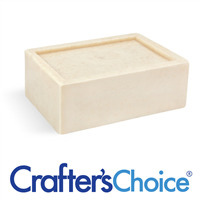 "Crafters Choice™ Signature Oatmeal MP Soap Base (2"
COMMENTS: This is an excellent soap base and not just for it's skin benefits. I've used it with the Oatmeal, Milk and Honey F/O and with the Leather F/0 and have been very pleased with the outcome in both cases. It is a little bit thicker and tricky as other reviewers have stated, but it unmolds easily, holds fragrance extremely well and makes an absolutely beautiful bar of soap, especially when using herb powders for colorants. It has a rustic, down-home look that both my customers and I are impressed with. COMMENTS: I have tried homemade/store bought bar soaps and this one is hands down the BEST around. I do not like a soap that leaves a greasy feeling after I have washed and this one does not and that's what I like. If u are that type of person I would recommend buying this brand of a base soap plus it also gives the scrubbing feel to get dead skin off. I scent my soaps with love spell and everybody loves them. I rate this with 10 stars not 5. "enjoy working with this soap base"
COMMENTS: I love working with this soap. I love making my soap with this base. COMMENTS: We love this soap, I use it on my son who has eczema and it always relieves the dryness and itching. "this is probably my favorite base !" COMMENTS: The oatmeal base is probably my favorite base to use. It is so easy, the color is delightful, it holds scent well. I like to add a teaspoon or so of unground oatmeal to the top layer of the soap for a little exfoliating boost and it looks wonderful. I LOVE oatmeal, milk and honey fragrance oil with this soap base , may try some almond and honey fragrance on the next batch. The soaps I make with this base seem to set up faster than the other bases so I have to work a little faster, but that has been no problem so far. As soon as this base comes back into stock I'm going to order more ! COMMENTS: It is awesome as a melt and pour base! The smell is not what i expected but that can be fixed and how it felt on the skin worth every penny! I love it and so did my costumers! They keep asking for more! COMMENTS: Nice exfoliater. Also relieved my itchy skin. COMMENTS: This is a very versatile soap base. Great for pet bars, also. Takes color and fragrance well. • Great for adults, kids and pets! COMMENTS: Pairs nicely with Oatmeal Milk & Honey fragrance oil. "Wonderful base for Christmas soaps"
COMMENTS: I use this base to make teddy bear and gingerbread boy/girl bars. The oatmeal flecks add just the look I want for these molds, and if I don't use vanilla color stabilizer with vanilla-based fragrances, the base darkens in a lovely way. Coupled with how healing and soothing this soap is, oatmeal base is a great addition for Christmas soaps. • Healing characteristics of oatmeal. COMMENTS: I suffer from Eczema and this Oatmeal Base is really soothing on my skin. I use it along with the Honey Base and the smell is devine. 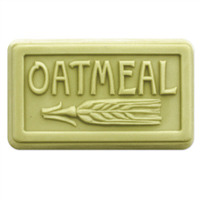 COMMENTS: This is a great oatmeal soap, you can really see the oatmeal in the base. Love it for my organic basil, orange and lemon soaps. Holds scents well. COMMENTS: There is just enough oatmeal in this base to make it soothing to the skin. Works great when paired with the honey base. "Feels wonderful on the skin!" COMMENTS: I found this easy to work with and was delighted with the end product. It made my skin feel soft and silky and rinsed off very well. COMMENTS: This is a gentle soap, I like the color also. Takes scents well. COMMENTS: I've used this soap many times in the past, it works very well! 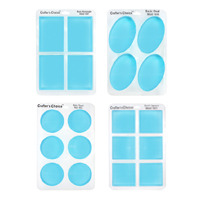 Very moisturizing and I like the color variations when you add the soap bars to them! COMMENTS: About the only thing that I have added to this base is a fragrance, it is great just by itself. It lets my skin feeling so soft and smooth. I plan on making a lot more of this soap! COMMENTS: Helps my daughter with her dry, itchy skin. COMMENTS: I love this base. It is creamy and moisturizing. I love how the oatmeal stays suspended and doesn't sink to the bottom. COMMENTS: Love oatmeal soap and this is the best I've used!!! Will definitely be buying more and more of this. "My favorite MP Soap base!!" COMMENTS: This is by far one of my favorite soap bases to use. I love it because it gives my soaps a vintage and natural look to them. Also it works well when you add colors. I would use this base when you want to make soap in soft colors like blush pink, sage green, etc. It melts fairly quickly and cools quickly too. I like that this soap looks slightly textured, almost as if it has tiny light brown grains in it. Because this soap is "oatmeal" it isn't completely fragrance free, it has a slight odor, like oatmeal. I like using natural fragrances and EO with this soap base (i.e, lemon and lavender). COMMENTS: The base is so rich and luxurious. It works great in loofah scrub bars and my MP soaps. It's easy to cut and work with. COMMENTS: I use this in various products and is so soothing. "My sensitive skins new favorite soap!!" COMMENTS: I have now used this oatmeal soap base twice.The first time I used it my mom & hubby said how soothing it was.I loved it on my dry,phsoriasis,hive prone skin!I also love how the guess work is taken out of adding oats myself & the lovely organic look this base has,Makes a great fall season base. • maybe a detergent free option as well? COMMENTS: I used this base with a few other additives and poured it into my dog paws mold. My customers love it! COMMENTS: I blend it with the shea base and customers love it. COMMENTS: I love using this base in my soap for sensitive skin. It blends well with other bases. COMMENTS: I love this M&P soap! It lathers up nice and feels great on my skin - so clean. I mix in a fragrance oil and pour it into a mold. So easy! COMMENTS: I love how well this did as a base and how soft and smooth it left my skin feeling. everyone who tries the oatmeal base soaps I make love it!! I will most definitely buy a lot more of this product. COMMENTS: Again love the lather, great base. This one is a good facial soap. It makes the skin soft. COMMENTS: Use for the sand in the bottom of the fish in a bowl kiddie soaps! COMMENTS: I really liked this base. I used it myself as face soap. I was blown away by how well it did on my face and how soft and smooth it left me feeling. My Mom's nurse trys all my products out and she just loved it. I will most definitely buy a lot more of this product. COMMENTS: I really like this soap base. I use it on all of my Loofah Soap's as the back bar. Love the natural scent it has. It's a great product. COMMENTS: One of my favorite go to bases for melt and pour soap. Performs good with mild exfoliates and holds the scents well. COMMENTS: nice base. does have kind of a tacky feel from the oatmeal but you dont notice it when it cures. "Very nice base. Melts and pours easily." COMMENTS: This base is really easy to use. I have added oatmeal flakes to it and or poppy seeds to add more exfoliation. It lathers up to a very creamy soap. Calming to the skin without the use of additives. I have used it both with and without any fragrance oils. So many uses! "Wow,,,,,And It's My First Time"
COMMENTS: I must say that I am really impressed with this melt and pour oatmeal soap base. I am making soap for the first time ever and it was so easy. It melted beautifully in a double boiler, poured well into the molds, and made beautiful soaps that I would be proud to give as gifts. Thanks for such a great product. I will be back! COMMENTS: It's a nice base, I love the color and oatmeal flakes in it, I just wish there was a detergent free option. "The best MP Base and highly recommended!" COMMENTS: This works in so many different soaps for face and for body and even pets. I have reordered this and find this to be a very versatile product. I really like the soap as is it is an excellent product. COMMENTS: Blended with Shea for facial bars. Sooths sensitive skin. COMMENTS: Wonderful and not over powering when mixing with clay or FO's. COMMENTS: This is a great melt and pour option, with exfoliants already part of the mix. I like to use it as the sand in beach soap. Nice and sudsy. "Oatmeal MP Soap Base "
COMMENTS: The oatmeal MP base is my new favorite. It can be melted down and poured straight into the mold or jazzed up with fragrance. This base has zero sweating to it and it has a lovely natural oatmeal smell to it. Without a doubt, this base performs the best in MP soap! COMMENTS: I like this base because it's easy to use. It saves on the labor of grinding the oats to a powder. I can melt it, add what I need to and wait. Has a great lather too. Thanks for this base. "Oatmeal Melt & Pour Soap Base"
COMMENTS: Very good product! 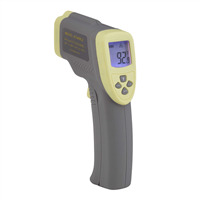 Easy to use and a great value! COMMENTS: I love the wonderful lather and other properties of this soap! It is always a big hit! "If you want Oatmeal Soap, you've found it"
• Just enough scrubbing "grit"
COMMENTS: This was the first time I used this soap, and I absolutely love it. Holds fragrance very well, and is very easy to handle. I will defintely be buying more. "Do not like working with this soap!" COMMENTS: I used this base today and had a really hard time with it and didn't like using it at all. It needed a higher temp to melt it and as soon as it was melted it formed a skin that no amount of stirring would get rid of. I normally pour at between 103 - 112 degrees and this was 122 degrees and was already solidifying! I had to pour very quickly and it literally solidified while I was pouring, so that now I have "globs" in my mold. It did this without any FO or colorant in it. I won't be buying this one again I don't think. WSP Response: Since this soap contains oatmeal, it does make the base thicker. It will not hurt to pour at around 125-130°. This is a very creamy base and the oatmeal is very soothing to the skin. COMMENTS: I cannot say enough nice things about this MP base. Very moisturizing and the finely milled oatmeal provides gentle exfoliation. My customers cannot get enough of this! COMMENTS: I have itchy skin so to say and this melt and pour soap has provided me with a great product that has helped my skin. So gentle enough that I can use it around my eyes and on my eyelids where I have eczema. Thank you for giving me my skin back! COMMENTS: This, along with all the other soap bases I have ordered so far - clear, shea, three butter, honey, coconut milk, & buttermilk - is simply fantastic. It smells wonderful and does not leave your skin feeling dry and itchy. 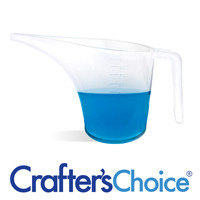 COMMENTS: I love this base it melts well, pours well, and it smells great.